Czech PM Andrej Babis has hit back after his son claimed he’d been sent abroad to block a fraud investigation. Andrej Babis Jnr, during what appeared to be a hidden camera interview with Czech news portal Seznam Zprávy, said he’d been sent to Crimea so he would not be called as a witness in a corruption probe called ‘Stork Nest’ involving his father. Billionaire Babis, who has been the Czech Republic’s prime minister since last December, has long-battled police charges that he manipulated the ownership of one of his firms a decade ago so as to qualify for €2 million in EU development subsidies. The 64-year-old, who denies the allegations, said his son — who now lives in Switzerland — is mentally ill and left the Czech Republic voluntarily. The claims have prompted opposition parties to call on Babis to resign and push for a parliamentary vote of no confidence in him. Babis told parliament in 2016 that the firm in question — a hotel and conference centre outside Prague — was owned by his adult children and his partner’s brother when the subsidy was approved. His two adult children and others have been charged in the case, report Reuters. Andrej Babis Jnr told Seznam Zpravy that the person who brought him to Crimea was the husband of a psychiatrist who examined him and who had worked as an advisor for his father when he was finance minister. He added he did not believe it was his father’s idea to move him to Crimea. Babis called the report a manipulation. “To film a mentally-ill man, secretly and in this way, that is heinous and revolting. 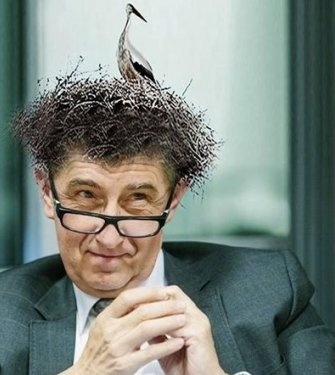 This entire campaign is only aimed to put pressure on the investigators in the Stork Nest case, it is also used by the opposition,” Babis said in a statement from Sicily, where he was attending a conference on Libya.